The EXP team, led by Pat Cooke and Jordan Lee, quickly established the requirements for the business transition and created a detailed plan to meet the tight separation deadlines. The business-critical functions were prioritized for availability on day one after the transition, with less critical systems layered in rapidly afterwards. And all of this had to be designed and implemented with National Institute of Standards and Technology (NIST) SP800-171 standards and International Traffic in Arms Regulations (ITAR) compliance in mind. A secure network including firewalls, switching, wireless, and remote access. Business productivity applications, primarily Microsoft Office 365 Government Community Cloud, High, which was then brand new. .
Local server infrastructure to provide directory, network, and file sharing services including Windows Servers, Active Directory, Azure AD Sync, File Storage, and more. Security solutions including multi-factor authentication, wireless network access control, endpoint security, endpoint encryption, and more. A secure Extranet for contractors and partners. A multi-site backup and disaster recovery solution. An IT road map to help scale the infrastructure as the business grew. 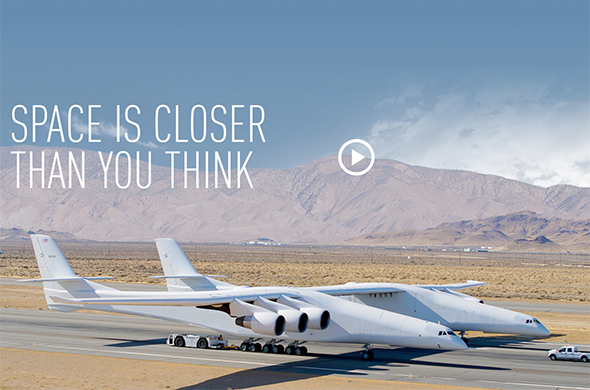 A fully outsourced IT department designed to scale quickly to match Stratolaunch’s business needs. Stratolaunch separated from Vulcan at Mach speed with minimal downtime and disruption of operations and without employing any full time IT staff. Stratolaunch continues to rely on EXP Technical to provide outsourced IT services for IT management strategy, support, and security for various projects including their mission control center in Mojave, CA where they are currently building the world’s largest airplane.